Many Nigerian children who want to go to school but have no school uniforms have found some respite as a Nigerian doctor comes to their aid. Nigeria has been ranked among the poorest countries in the world with as much as 87 million of its 150 million people living in extreme poverty. 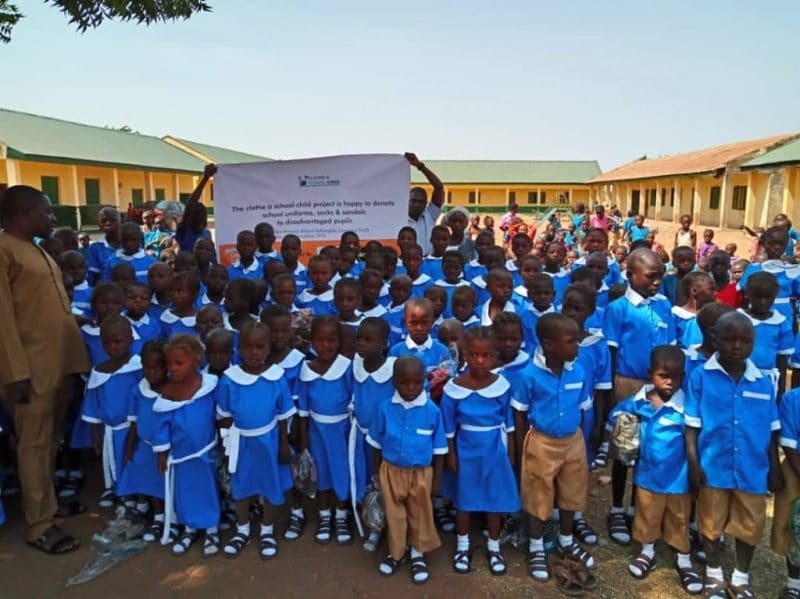 For a country like that, seeing pupils dressed in shabby school uniforms and cut sandals is not an uncommon sight in communities, most especially among students of government and community primary schools. on the self-confidence, educational performance, and even the willingness to be educated for students, a Nigerian medical doctor, Cornelius Gofung has embarked on a project, “Clothe a School Child Initiative” to provide school uniforms and other basic needs for school children in local communities. A medical doctor with the Jos University Teaching Hospital, Dr. Gofung began the non-governmental Organization in the second quarter of 2018 with the aim of reaching out to the disadvantaged primary school pupils and the vision of boosting confidence towards getting a better education by providing school uniforms, sandals with the partnership of Dr Davwar Pantong CEO SoleUs, and socks to students as well as deworming them thanks to the partnership of Dr Gabriel Uba of Real Fusion and Dr Atsen Linda of Project one. 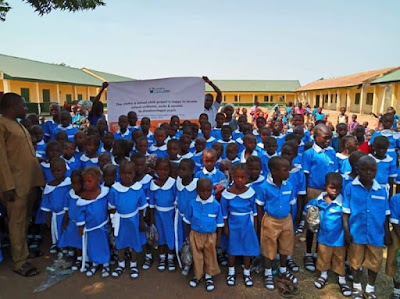 In the maiden edition of the campaign, Vanguard reports that Clothe a School Child Initiative (CSCI) made available 50 uniforms to school children in Amper Central Primary School in Kanke local government area of Plateau state. 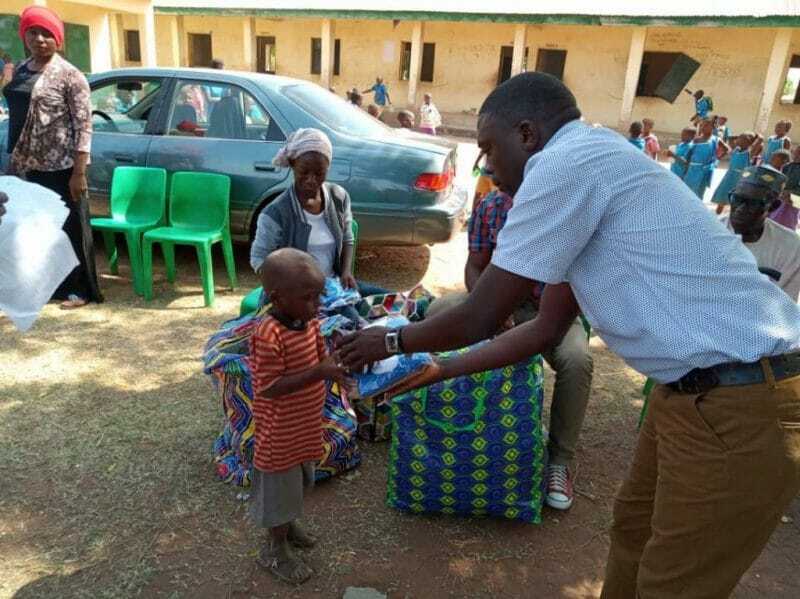 In November 2018, the campaign shifted to Sabon Gida, Langtang South, Plateau State, where it provided uniforms, socks, and sandals to 100 students. Alongside other partners, the CEO and founder of the initiative, Dr. Cornelius Gofung visited the school with Mr. Martins Dasun, Miss Lerit Ngwan, Ponman Jonathan Rimman to provide the school uniforms and also provide over 2000 deworming tablets for all the school pupils. According to Dr. Gofung during a meeting with the LEA primary school headmaster Mr Nansak Wuyep, Chief of Sabon Gida Chief Bamayi Fakdul Magaji, and other members of staff, the drive behind the initiative is that he was once like many other less privileged pupils and so he has a first-hand understanding of what they are going through in tattered uniforms. Because of that, he felt it a duty to help others who are in the same situation. Most importantly, the CEO and founder of the initiative emphasized that he is not alone in the project as the funding is done by its partners as well as members of the public who believe in the dream and project. The school headmaster thanked the CSCI partners for their efforts and promised to be of help to the foundation. He further stated delightedly that indeed, the school pupils and members of Sabin Gida at large are proud of their sons Dr. Muknaan Nshe CEO Hoomkwap Humanitarian foundation and Barr. Ponman J. Rimman for partnering with the foundation thus the reason for the gesture. The village head who spoke on behalf of the District head who was unavoidably absent thanked the CSCI partners and members and stressed that it is not easy for people to render help now especially in this difficult economic period. Founded in April 2018, the Clothe A School Child Initiative is a non-governmental organization that is designed to provide school uniforms and sandals to students. However, the initiative is also getting itself involved in all other things that concern the welfare of disadvantaged pupils in local primary schools that would improve their education, health, and general wellbeing. The initiative reaches out to individuals and groups and seeks financial and other forms of assistance toward providing assistance to different communities. Individuals can contribute towards clothing and providing other materials for students in different communities of their choices. Hence, one can reach to the Initiative to start a campaign towards clothing students in your local community. 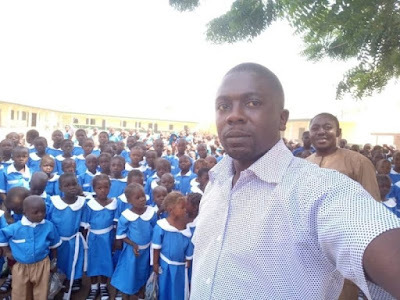 Although the last two school clothing campaigns were centered in communities in Plateau State, Dr. Gofung has exclusively revealed to WiredBugs that the initiative is working towards expanding the project to other parts of the country. But more than that, he revealed that the emphasis is to get more pupils in different communities reached. The Founder of the Initiative also expressed his appreciation to its partners, Dr Davwar Pantong CEO SoleUs and Dr Muknaan Nshe, CEO Hoomkwap Humanitarian Foundation and all other members who have contributed in various ways for the success of the second edition program.